Successive Labour and SNP governments have fallen far short of using Scotland’s devolved powers to do so. Independence will win back more levers to greatly improve our economy – that is for certain. Yet Holyrood is not powerless – we can start, piece by piece to transform it into that better Scotland. A key example is tax. Local authority control and its funding has been a devolved matter for over twenty years, yet the deeply flawed, regressive and hated Council Tax remains. Introduced by a Conservative government, fresh from the scars of the poll tax, it has been marginally tweaked, but essentially preserved. Its abolition is long overdue. The clear alternative is the Scottish Service Tax. 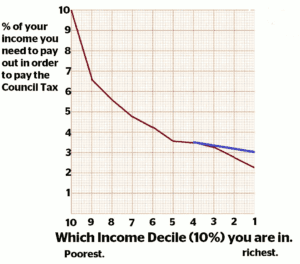 The Council Tax is inherently regressive. Firstly, your ability to pay doesn’t factor in, at all. Secondly, compared to incomes, it is wildly disproportionate. It was calculated, that in 2015, the Council Tax claimed 5.2% of the income from the poorest 20% of Scots, while the richest 20% contributed a mere 1.7% of their income. 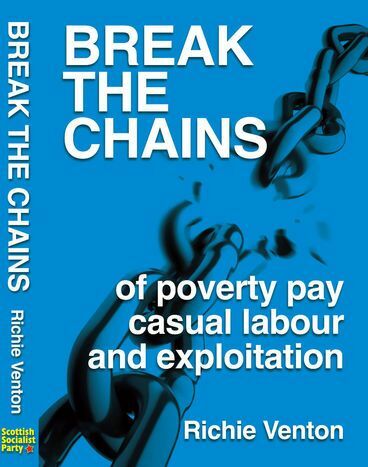 Put plainly, the rich pay comparative coppers, and working class people pay far too much! Whilst the UK gap between the highest earning 10% of the population and the lowest earning 10% of the population has widened greatly in recent years; the Council Tax differential from band A to H remained frozen at 3:1. Recent Scottish Government tweaks have widened this to 3.7:1, but wage and wealth inequalities grow much more quickly. The consequences of this are visible. Many pensioners pay in Scotland now pay over a quarter of their income in Council Tax. The issue is further compounded the rising cost of living. In 2005 the Citizens Advice Bureau revealed that 25% of the debt cases they assisted with involved Council Tax Debt, rising to 33% by 2009. 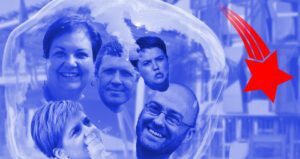 It is baffling that in 21st Century devolved Scotland, working class communities and lower-income households should still be paying the price for the regressive politics of the Conservative governments of the last century. The Council Tax must go – Holyrood has the power to replace it. Which leads us to the Scottish Service Tax. 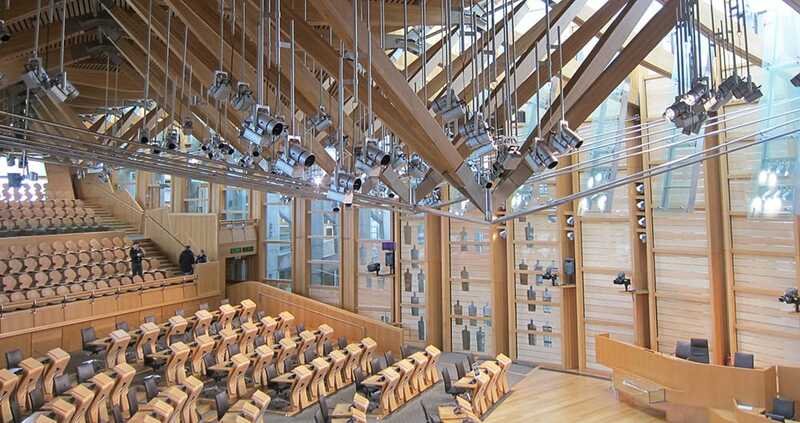 In scrapping the Council Tax, the Scottish Government can do much more than tinkering. We could progressively tax to redistribute wealth from the richest to the rest of us. The Scottish Service Tax was designed for this exact purpose in 2003 by eminent economists Dr Geoff Whittam and Professor Mike Danson. The Scottish Socialist Party has continued to champion the policy for the opportunity it represents. For example, with an income of £25,000 a year, the first £10,000 would be under Band 1, so you would pay nothing on that. The remaining £15,000 would be under Band 2 – taxed at 4.5% – giving you a total bill of £675 each year. That bill is around a third of what might be expected under current Council Tax Band D rates. The Scottish Service Tax is a radical proposal. By slashing the bills of the poorest Scots, we would usher in the single greatest attack against poverty and inequality seen since the beginning of devolution. Over half of all households in Scotland would find their local tax bills fall – and the well-off would see their bills rise, meaning they contribute accordingly. The case then, is clear. With local government a devolved matter, Holyrood has all the power needed to scrap the Council Tax. 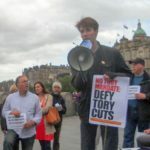 Of all the proposals put forward for how to reform or replace it, only the Scottish Service Tax was designed with the fundamental purpose of redistributing wealth and ending decades of municipal butchery. It can provide precious breathing room and lift us from the brutality of Tory austerity. Ours is a wealthy country. It can also be a fair one for all. SSP Welcomes Football Act RepealThirty Pence is not Enough!